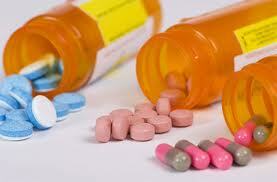 Do not flush your leftover/expired medications down the sink or toilet. The old recommendation that leftover and expired medications be flushed down the toilet is one of the worst things we could be doing. Researchers have found traces of pharmaceuticals and personal care products (PPCPs) in our rivers and streams around the country. Not good for our wildlife. Also, our wastewater treatment plants were not designed to remove medicines from the wastewater so it’s important not to let them go into the sewer systems. Four of every five patients leave the doctor’s office with a prescription according to the National Association of Chain Drug Stores (NACDS 2002), so the disposal of pharmaceuticals is an important issue. The US Geological Survey studied water from 139 streams in 30 states and found that 80% contained traces of pharmaceuticals. The affect that those traces may have on the environment, plants, marine life and human health is unknown. DO make sure you take all of your prescription when a medication is prescribed to you. DON’T flush your unused pharmaceuticals down the sink or toilet. DON’T throw your unused pharmaceuticals in the garbage. DO establish good eating/nutrition and exercise habits to prevent disease. DO contact your city or county government’s household trash and recycling service and ask if a drug take‐back program is available in your community. If not, inquire into your city’s household hazardous waste collection sites. Since the 1980s, the occurrence of pharmaceuticals and personal care products (PPCPs) as trace environmental pollutants, originating primarily from consumer use and actions rather than manufacturer effluents, continues to become more firmly established. The growing, worldwide importance of freshwater resources underscores the need for ensuring that any aggregate or cumulative impacts on (or from) water supplies are minimized. The key and critical disease-prevention role played by nutrition should continue to be explored and emphasized at all levels. The connections between health maintenance/improvement via proper nutrition and the reduced need for medication are well documented. Probiotics (beneficial, endogenous microflora) have long been used and studied for the protection of the gut [largely by blocking pathogen adhesion (e.g., Kaur et al. 2002)]. More recent work has expanded this important domain of clinical microbial ecology to other medical uses such as prophylaxis for postsurgical infection [in lieu of prophylactic antibiotics (e.g., Harder 2002; Reid et al. 2001)]. Operation Medicine Cabinet in Southern Nevada, please call Jason Roth at 702-968-1633 or email jroth@usn.edu. The LVMPD now has medication disposal boxes available at its area command stations. Southern Nevada residents may use these boxes for the safe and anonymous disposal of unused or expired medications. Click here for a map with participating locations. The disposal stations are a result of a grant funded program in partnership with the Clark County Water Reclamation District. This entry was posted in Green, LEED, Sustainability, Waste Minimization. Bookmark the permalink.